Solid reconstruction of a medieval kettle hat. 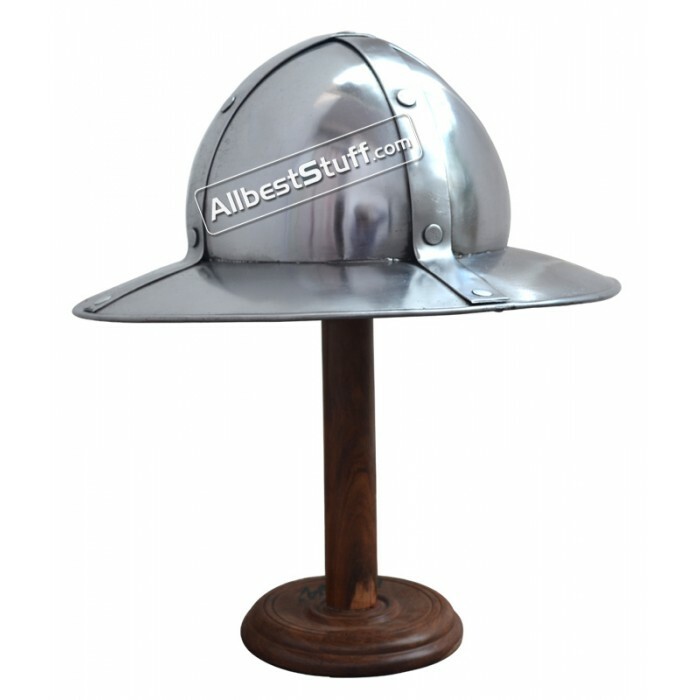 This type of helmet was used during the 14th and 15th centuries. 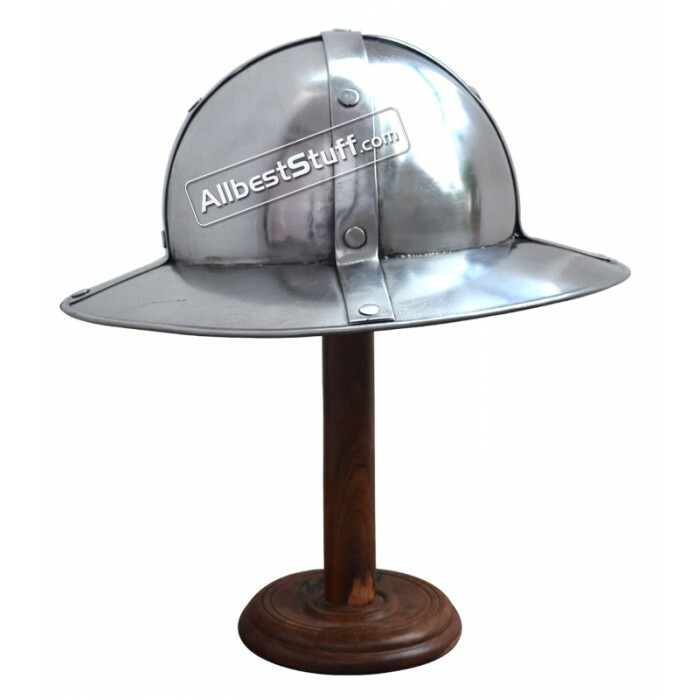 This helmet is "only" made from 1.6 mm steel. However, the riveted steel bands give the kind of protection necessary for battle reenactment.